At 2.06am Western Australian time, Thursday 14 March 2013, white smoke billowed from the chimney atop the Sistine Chapel announcing to the world the election of a new Pope. A little over an hour later, a huge crowd, estimated to be more than 100,000, had gathered in St Peter's Square eagerley awaiting the announcement of the name of the new Pope by the senior cardinal-deacon, Cardinal Jean-Louis Tauran. In the seconds that followed the announcement by Cardinal Tauran with great joy, "Habemus Papam" (we have a Pope), and naming him to be Cardinal Jorge Mario Bergoglio, a silence fell over the square as the crowd and media pondered the name and slowly realised that the Conclave of Cardinals had chosen under the guidance of the Holy Spirit, someone unexpected, the first Pope from from the "New World", from the Latin American country of Argentina, the first Pope from the southern hemisphere, the first Jesuit Pope. 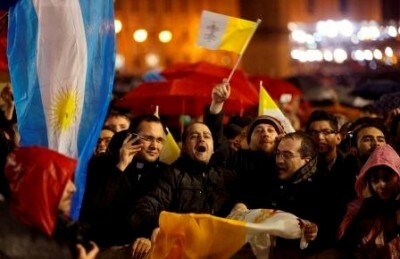 As this realisation spread the crowd erupted in jubilation, eager to see Pope Francis. "Brothers and sisters good evening." "You all know that the duty of the Conclave was to give a bishop to Rome. It seems that my brother Cardinals have gone almost to the ends of the earth to get him… but here we are. I thank you for the welcome that has come from the diocesan community of Rome." "First of all I would like to say a prayer pray for our Bishop Emeritus Benedict XVI. Let us all pray together for him, that the Lord will bless him and that our Lady will protect him. Glory be to the Father… "
"And now let us begin this journey, the Bishop and the people, this journey of the Church of Rome which presides in charity over all the Churches, a journey of brotherhood in love, of mutual trust." "Let us always pray for one another.Let us pray for the whole world that there might be a great sense of brotherhood." "My hope is that this journey of the Church that we begin today, together with the help of my Cardinal Vicar, may be fruitful for the evangelization of this beautiful city." "And now I would like to give the blessing. But first I want to ask you a favour. Before the Bishop blesses the people I ask that you would pray to the Lord to bless me – the prayer of the people for their Bishop. Let us say this prayer – your prayer for me – in silence." "I will now give my blessing to you and to the whole world, to all men and women of good will." "Brothers and sisters, I am leaving you. Thank you for your welcome. Pray for me and I will be with you again soon... We will see one another soon." "Tomorrow I want to go to pray to the Madonna, that she may protect Rome. Good night and sleep well!" 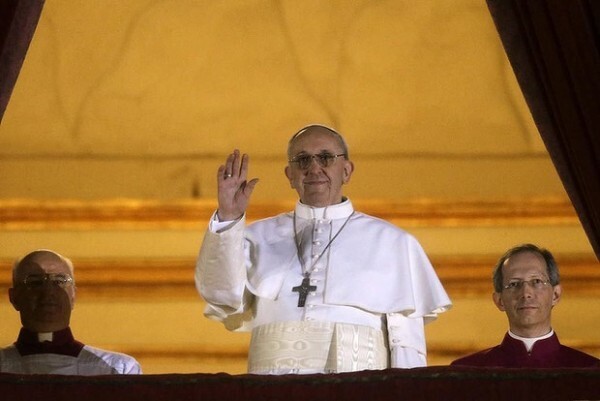 It is with a sense of real joy that I welcome the election of Pope Francis as the successor to Pope Benedict XVI. Like all Catholics I am very excited and encouraged by this news. Pope Francis is widely admired as a man of simplicity and humility and he brings to the papacy extensive pastoral experience from his time as the archbishop of Buenos Aires. The pope's choice of "Francis" as his new name evokes for us the spirit of poverty and simplicity of St Francis of Assisi. Perhaps, too, given that Pope Francis is the first Jesuit pope, he is directing us to the great evangelizing energy of the Jesuit St Francis Xavier. 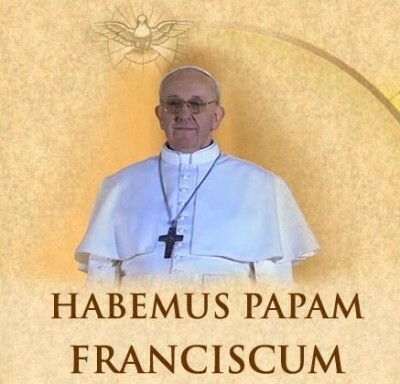 The great challenge for Pope Francis is to help us all to re-awaken our faith in Jesus Christ, who proclaimed himself as the Way, the Truth and the Life, and to lead us as we seek to deepen our commitment to Christ and to his Church. All the challenges currently faced by the Church come down to this. We are meant to be disciples of Christ and living signs and instruments of his continuing presence and action in our world. This is our great gift to the world. I look forward to Pope Francis recalling us to this urgent task and helping us to live it in concrete ways. In the name of the Catholic Archdiocese of Perth I pledge our obedience and loyalty to Pope Francis. We know that it is only through our communion with the whole Church, symbolized and made concrete through our communion with the Bishop of Rome, that we can be faithful to God's call and confident of our fidelity to the task of offering to the world the precious gift of Christian faith in all its integrity, a gift which we believe the world desperately needs. I invite all Catholics to pray for the new Pope as he begins his daunting task and I hope that all our fellow Christians will join us in this prayer. The cardinals have elected Pope Francis after much reflection, discussion and prayer. We can be confident that the Holy Spirit will now assist Pope Francis as he seeks to lead and guide the Church in its ongoing journey at this challenging time.